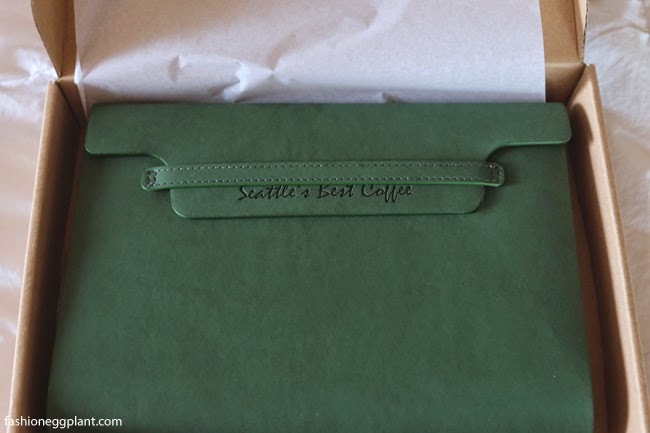 Admittedly not a pioneer in the coffee shop journal game, this doesn't mean that you should overlook Seattle's Best Coffee's Dream Journal. 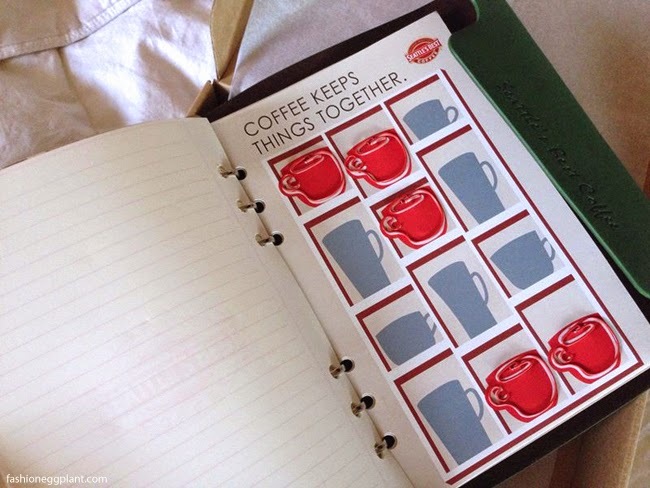 Up for grabs after completing just 18 stickers on your "stamp card", it comes in 4 colors: Gray, Navy Blue, Green and Red. To get one, you must order at least 8 Holiday Drinks + 10 SBC Beverages (not including bottled juice + water). Caramel Apple – White chocolate mocha with apple syrup and caramel sauce with whipped cream, caramel sauce, cinnamon powder and Christmas candy. Coffee Hazelnut – White chocolate mocha with the coconut and hazelnut topped with whipped cream, golden crunch and Christmas candy. Cookies & Mint – Classic mocha with a mix of Oreos and mint syrup topped with whipped cream, crushed Oreos and Christmas candy. Salted Almond Truffle – Classic mocha mixed with almond and sea salt with whipped cream, chocolate sauce, crushed Almonds and Christmas candy. 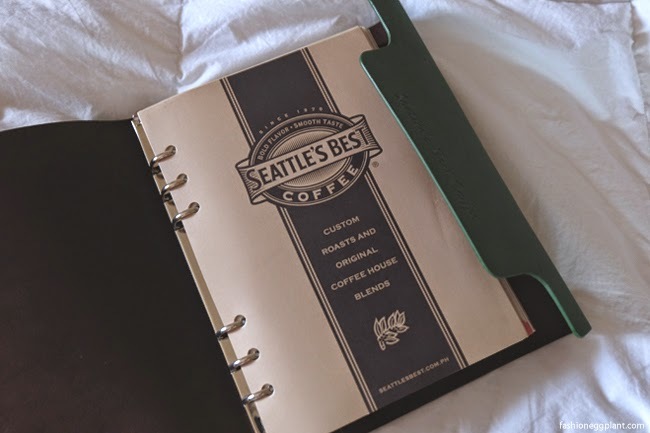 Unlike it's more popular counterparts, The Seattle's Best Dream Journal is packed with loads of freebies amounting to P3,000!!! 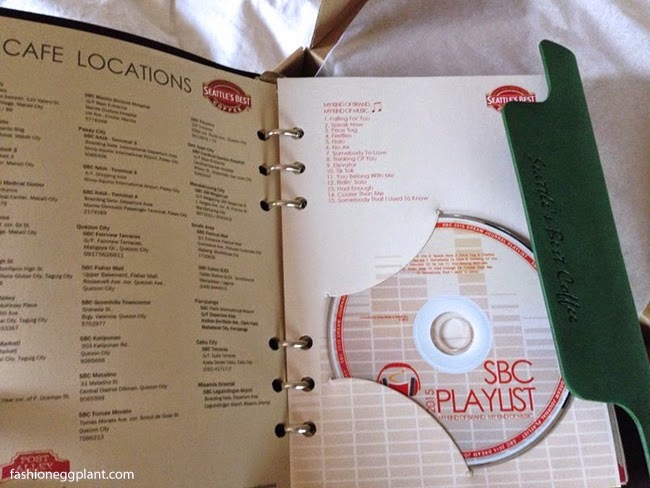 And even an SBC Playlist CD you can play at home to recreate that warm and cozy Seattle's Best "coffee shop vibe". I didn't want to shoot everything inside and ruin the surprise for you but I'm telling you, there's still a lot of neat surprises to discover once you get your hands on one. 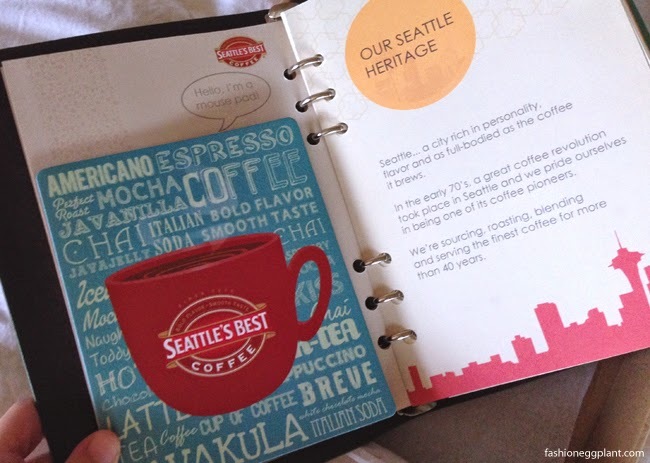 Time to call your friends and family, set a coffee date at Seattle's Best and get all those 18 stamps in one day! 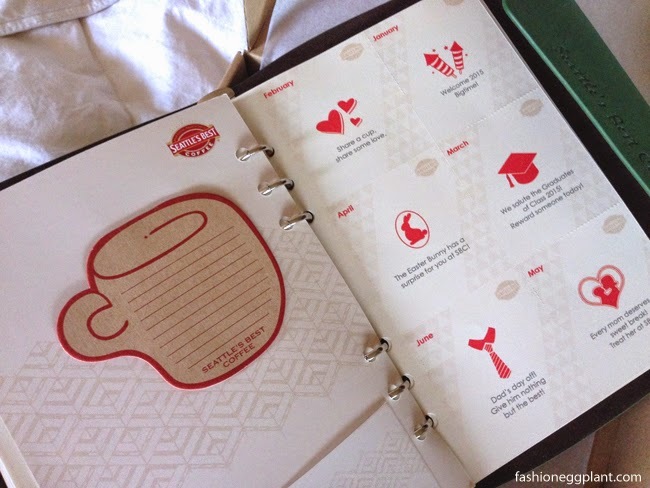 ;) You have til January 15, 2015 to complete your "stamp card". GIVEAWAY: Watch and Win Mercury Drug, Toys R' Us gift certificates and a Multiple Intelligence gift pack!